A neurosurgeon will be performing a head transplant at the end of the year. The head of a paralysed patient is supposed to be matched to a new body. "Is this still medical treatment?" is the question being asked not only by people, but now also by highly respected scientists. What on Earth? This is what the author asked himself when the editorial team asked him to write an article about the transplantation of an entire body to a head – or should that be the other way round? A living head on the body of a brain-dead donor? To whom is this of benefit? Or is it just spin from a PR-addicted doctor? The author has read and collected facts and scientific articles on this subject and would like to leave in the hand of his readers the final judgement about the purpose of or folly relating to such an operation. Even the editorship of the recognised scientific journal Surgery according to statements by the publisher had misgivings about publishing the manuscripts of a “minisymposium” on this subject in their journal. An accusation of this being “sensationalisation” aptly describes the response. “Too many difficulties – I do not believe it will ever succeed”, says Harry Goldsmith, neurosurgeon at the University of California, who is one of the few to have managed to get a man with a severely damaged spinal cord walking again. If the transplant is divided into individual parts, the hurdles do not quite appear so insuperable. After all, the somewhat similar sentiment “Not promising!” was also exclaimed before the first kidney transplant in the 50s, and later before the first heart transplant. Doctors nowadays transplant hands almost routinely, and even facial transplants have now in several dozen OPs ended with success. As early as the middle of the last century, a two-headed dog appeared in the media, which could at the one time bark as well as eat. However due to rejection reactions, the animal survived only a few weeks. The situation was similar for researchers who, in the 1970s, dared to transplant monkey heads – without however connecting the spinal cord to the brain. The rhesus monkeys remained paralysed, even if sensory functions such as taste and hearing and the facial muscles continued to work. In 2013 Sergio Canavero, a neurosurgeon from Turin, made himself the subject of talk when he announced such an operation for a human – by the end of 2017. Giving all the details he informed colleagues two years ago at a meeting of the American Orthopaedic and Neurosurgeons and the International College of Surgeons In Annapolis about his plans. 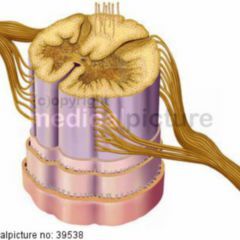 The connection of the nerve strands of the spinal cord appears to be the largest problem in such a transplant which has not been solved so far, even though Canavero has already submitted a detailed plan for the procedure. With experience in the transplantation of various organs, as well as that of diversifiied tissues (such as a whole hand), it is possible using immunosuppressants to get on top of graft vs-host reactions to the head, he says. In addition, through the resultant chimerism a tolerance is able to be induced. Reliable data about such a “re-education” of thymocytes, for example by autologous bone marrow or dendritic cell transplantation after surgery, does not yet however exist. Canavero himself favours the immunosuppressants tacrolimus and sirolimus along with belatascept. Sirolimus could also play a role in the restoration of nerve connections between the spinal cord and the brain, based on knowledge from previous data. The connection of large and small vessels for blood supply to the brain presents the surgeon with a time problem. So that the oxygen supply to the brain is not interrupted for too long, he has to hurry. In mouse experiments carried out by Canavero’s Chinese colleague Xiaoping Ren what worked very well was the creation of a crosswise connection of the donor body with the carotid artery and jugular vein through a short tube. Reflexes and EEG thereafter indicated normal functioning. In order to win some more time, the body and head are to be cooled. As was seen from simian experiments, a temperature of 29-33°C is sufficient to reduce the metabolic rate to such an extent that the short interruption to the blood flow does not cause damage. How is a connection from the spinal cord to the brain to be restored though, given how hopeless prospects are for many quadriplegia cases? The Italian neurosurgeon is investing his hopes here on a clean sharp cut during the severing, and on the flooding of the nerve endings with PEG (polyethylene glycol), which is intended to support the convergence of the ends. 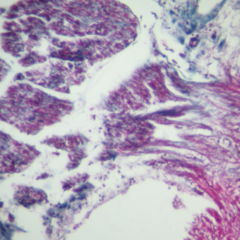 The technique was developed by a German working group led by Hans Werner Müller from the University of Düsseldorf (Germany). He does not believe, however, that practical application on the human spinal cord will succeed quite so soon. 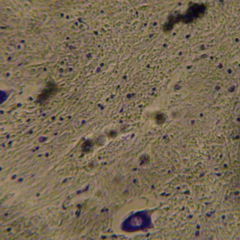 Further possibilities are discussed by Canavero in a paper using the transplantation of neural stem cells at the interface. 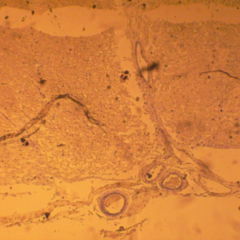 Finally, he also refers to positive results using olfactory sheath cells in patients with spinal cord trauma. Two patient examples of restoration of a severed spinal cord, conducted in 2005 and 2014, are intended to serve as an argumentation aid. The surgeons cut away scar tissue at the injury site and joined the nerve endings. In both cases, they recombined and allowed the patients with a T6 / T7 or a T9 paraplegia to regain control of their extremities. Without scar tissue, Canavero argues, the fusion of the nervous system would be much faster. How would the first such head transplant proceed? Following the first cut Canavero proposes all major anatomical structures be identified, labelled and prepared, beginning with muscles, vessels, the trachea, oesophagus, throat and nerves, then the posterior neck muscles, head vessels and finally the spinal column, which is to be connected to the other end during transplantation by a stable plate. A life-support-machine would take over the blood flow of the severed head for a short time. At the very end of the preparation and right at the beginning of the procedure creating the new connection between head and body, the incision and the re-connection of the spinal cord would occur. Working in reverse order, the surgeons are then to reattach the remaining structures, starting with the most important blood vessels. To achieve the healing process, especially in relation to neuronal trauma, the patient would first be induced into an coma for a few weeks and receive his or her food per probe. 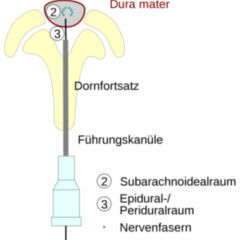 Implanted electrodes ensure a regular stimulation of the nerve fibres. A rehabilitation, similar to that of traumatised victims with paraplegia, is supposed to pave the way to attaining a normal state. …with the proviso that an ethic committee consents to this largest of all operations. Many have their doubts about this. All essential knowledge and data has so far only been derived from animal experiments, or has led to success in only isolated patients. Only in rare instances have multiple research groups confirmed the preliminary findings. We see therefore that John Barker of Columbia University, for instance, considers that the hurdles to rejection are still quite a long way from being overcome. The consequences – for example, the change in the blood-brain barrier – are not foreseeable. According to some neurosurgeons, a re-linking of the spinal cord should first be tried out on paraplegics. This is because there is no “exit” strategy after the start of the procedure. Even under these circumstances Russian Valeri Spiridonov is ready to undergo an operation. He suffers from Werdnig-Hoffmann disease, a form of spinal muscular atrophy, and would gladly exchange his 33-year-old body for a new one. According to latest reports Canavero has however now changed his plans regarding the place and subjects. Now the operation is supposed to take place in China – perhaps because the persecution of violations of medical ethics is not taken so seriously there? Is informed consent permissable for an operation for which almost all experts assess the success rates to be extremely low? This was also recently dealt with in a comment from the law school of Harvard University. Does a project such as Sergio Canavero’s have enough value so that countless animals end up dying for it? Should a broad discussion on the technical, medical and ethical problems of such an operation not precede the procedure? How much will the personality of the recipient of a new body change after an operation, were it to succeed? A broad discussion regarding these basic questions was conducted before the first transplant of a face 12 years ago. In the vast majority of cases, the operation has so far been a happy one. The aim of the article in DocCheck is to initiate such a discussion about the head transplant. How serious the Italian surgeon is taking this is shown by his collaboration with an American IT company. At the end of last year, he presented a device with virtual reality spectacles that would accustom the patient to a new life with a fully functioning body months ahead of time – so as to prevent psychological trauma after the successful operation.